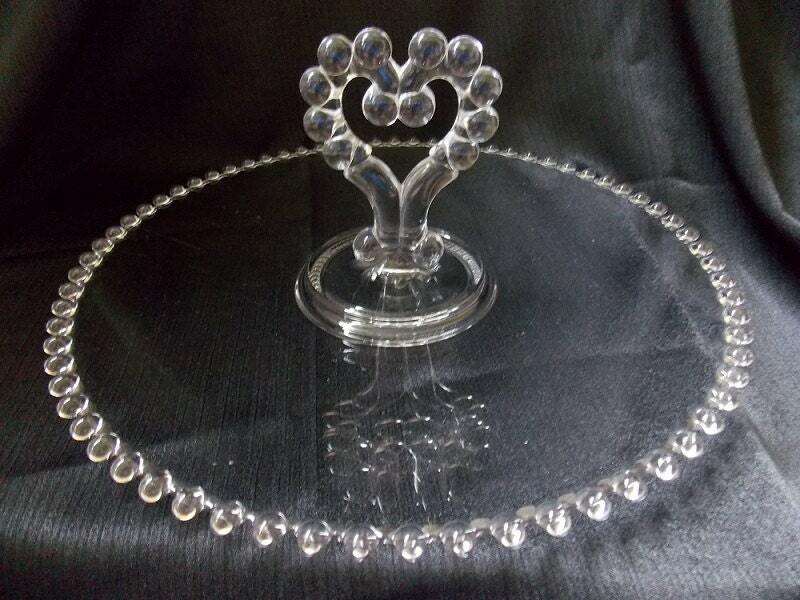 A lovely heart shaped handled serving tray was made by Imperial Glass between the 1930s-1960s in the Candlewick pattern. 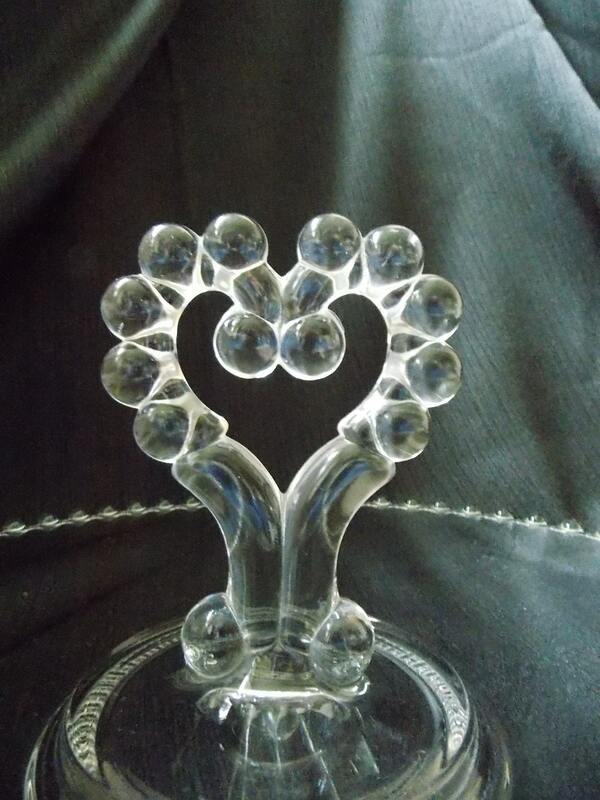 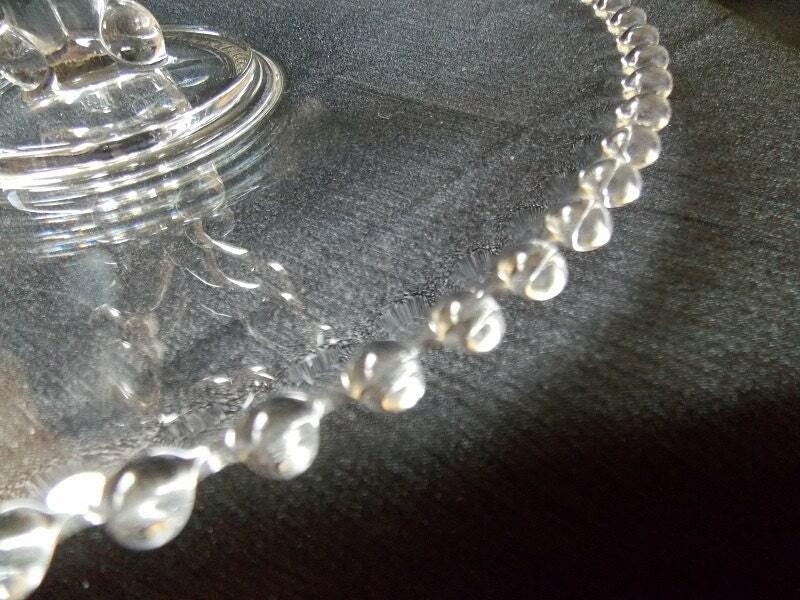 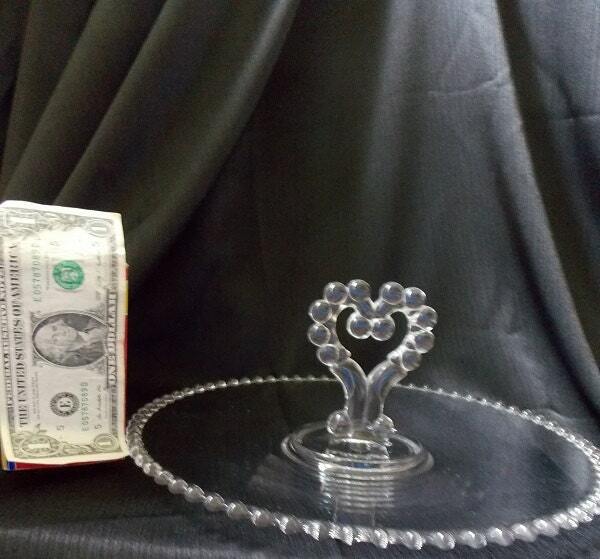 It is a clear glass with a beaded design that runs around the outer edge of the tray. 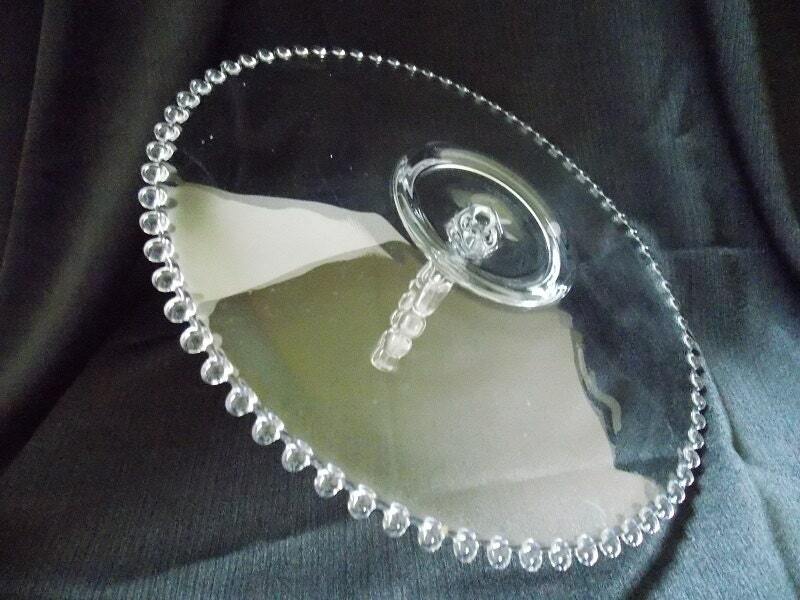 This tray adds a bit of vintage charm to your parties!